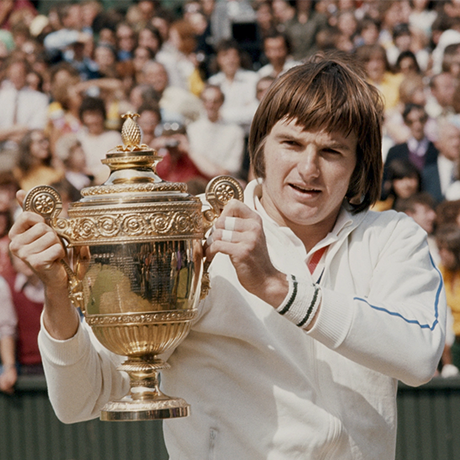 One of the first pros to use a steel racquet and, along with Borg, the dominant player of the 1970s. Tenacious with a spikey attitude, Connors was not well liked by his contemporaries or the Tennis authorities. In the 1982 Wimbledon final he came back from the brink of defeat against John McEnroe to win in 5 sets. His last Grand Slam followed a year later at the age of 31 as the next generation, led by McEnroe and Lendl, ushered in the new era though he did reach the semi-finals of the 1991 US Open, aged 39.